Written by J. Papp, L. Shaw and D. Warrin. Published by Oskris Toons (ASCAP) / Plushpagoda Music (ASCAP). Produced and arranged by Julius Papp. Vocals by Lisa Shaw. Remix & additional production by Jarred Gallo. P) 2013 NeoDisco Music. Courtesy of NeoDisco Music. Written by Miguel Steward and Meshell Ndegeocello. Published by Deluxe Tempo Music (ASCAP). P) 2011 OM Records in association with Salted Music. Courtesy of OM Records. Written by Frédéric Blais. Published by Atal (Socan). Produced by Frédéric Blais. P) 2013 Lazy Days Recordings. Courtesy of Lazy Days Recordings. Written by Khensani Mabaso, Itumeleng Mokitlane, Ntokozo Malinga and Nandi Mnoma. Published by 88 Productions / Universal Publishing. Produced by Khensani Mabaso & Itumeleng Mokitlane. P) 2013 88 Productions. Courtesy of 88 Productions. 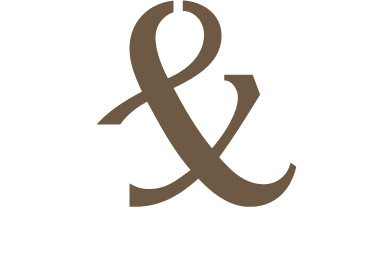 Arranged, Composed & Produced by Flavio ‘Harley&Muscle’ Romaniello for H&M© Productions (www.hmproductions.it), Assisted by Stefano ‘Steve Slow’ Proietti. Speech written & performed by Victor ‘Mr.V’ Font. Written and produced by Matt Robson-Scott and Kye Gibbon. P) 2013 Energy Production Srl under exclusive license from Black Butter Records Ltd. Written by Robert Owens and Klement Bonelli. Published by Atal / Westbury Music. P) 2013 Krome Records. Courtesy of Krome Records. Written by O. Lazarus, L. Darlow, A. Paschali and P. Smith. Published by Papa Music. Produced by Leigh Darlow & Alex Paschali. All Vocals performed by Portia Monique. Guitars by Alex Paschali. P) 2013 Reel People Music Ltd. Courtesy of Reel People Music Ltd. Written by Josh Milan, Chieko Kinbara and Takahiro Watanabe. Published by Josh Milan Songs (BMI). Violin by Chieko Kinbara. Bass by Watusi. Guitar by Masayuki Ishii. Piano by Takahiro Watanabe. Conga, Bongo & Triangle by Genta. Remixed by Souldynamic. P) 2013 Grand Gallery. Courtesy of King Street Sounds. Written by Rocco, François A and Kensy. Published by Atal Music. Mixed and Produced by Rocco @ Rodamix Home Studio. P) 2013 Rocco. Courtesy of House Afrika. Written by Yousef Zaher, Charlotte Taft and Stefan Kazassoglou. Published by Defected Music / Copyright Control. Produced, engineered, played & mixed by Yousef Zaher. Vocals performed by Charli Taft. Vocals recorded by Mark Brocklesby & Yousef Zaher. Horns by Mike Hide. P) 2013 Defected Records Ltd. Courtesy of Defected Records Ltd. Written by Jon Pierce and Kafele Bandele. Published by GU Music Publishing / Roba / Atal Music / Copyright Control. Produced by Ralf GUM for GOGO Music. Lead Vocals by Jon Pierce. Remix produced by Louie Vega. P) 2013 GOGO Music. Courtesy of GOGO Music. Written by Nina Provencal. Published by Copyright Control. Produced by InBlaq Productions, D.Mckenzie, L.Edwards, J.Wright & R.Dabreo. P) 2013 Makin’ Moves Records 2013. Courtesy of Makin’ Moves Records. Written by Kenny Summit and Reelsoul. Published by Good For You Records LLC. P) 2013 Good For You Records LLC. Courtesy of Good For You Records LLC. Writen by Khensani Mabaso, Itumeleng Mokitlane, Nkosinathi Innocent Maphumulo and Mary Malehloka Hlalele. Published by 88 Productions / Soulistic Music (PTY) / Sheer Publishing. Produced by Khensani Mabaso & Nkosinathi Innocent Maphumulo. P) 2014 88 Productions. Courtesy of 88 Productions. Written by Lem Springsteen and Tara Jamelle Jones. Published by One Boy Music Publishing (ASCAP) / Elle Maj Music (ASCAP). All vocals by Jamelle J. P) 2013 Urban Lounge Music, LLC. Courtesy of Urban Lounge Music, LLC. Written by O. Lazarus, L. Darlow, A. Paschali and M. Crosdale. Published by Papa Music / Copyright Control. Produced by Leigh Darlow & Alex Paschali. All Vocals performed by Imaani. P) 2013 Reel People Music Ltd. Courtesy of Reel People Music Ltd. Written by J C Urich. Publishd by Copyright Control. P) 2013 TSTC Records. Courtesy of Dome Records. Written by Graham Lord, Adam Unsworth and Stee Downes. Written by Lynn Lockamy. Published by TR Music (ASCAP) / My Mark (BMI). Produced by Timmy Regisford & Adam Rios. Remixed by Sean McCabe. P) 2013 Tribe Records. Courtesy of Tribe Records. Written by N. Raptis. Published by Azu Music (BMI) / Kolour Recordings. P) Azucar Ent. / Kolour Recordings. Courtesy of Media Services NYC. Written by Chris Forman and Terrance Downs. Published by Chris Cee Rule Forman Music (ASCAP) / Kaye’s Dream (ASCAP) / King Grooves (ASCAP). Performed by Terrance Downs. P) 2011 Nite Grooves. Courtesy of King Street Sounds. Written by Stefano Rizzuto and Wendy Lewis. Published by Pino Music Publishing. Vocals by Wendy Lewis. P) 2011 Soul Deluxe Recordings. Courtesy of Soul Deluxe Recordings. Written by Colette Marino and Tim Kvasnosky. Published by Starfly Music (ASCAP) / Money Cologne Tone (ASCAP). P) 2013 Candy Talk Records. Courtesy of Candy Talk Records. Written by Sandy Rivera and L.Z. Hall. Published by Defected Music Publishing. P) 2013 Blackwiz Records. Courtesy of Sandy Rivera. Written by Charles Mims Jr., Patrice Rushen, Reggie Andrews and Gustavo Sandoval. Published by Copyright Control / Universal Music Publishing Group. Produced by Tavo. P) 2013 Mjuzieek Digital. Courtesy of Mjuzieek Digital. friends: world-famous deejay Flavio Romaniello of Harley & Muscle and his partner, Stefano ‘Stevie Slow’ Proietti. A warm embrace to Marilena, and of course baby Caio. A lot of love to my ‘Didi’ the great astrologer Maddalena Magliano. Respect to ‘my big brother’, Renato Bengala and everyone @ Studio Bengala. Hello to some great friends: Ismael you’ll always be in my heart, my mountain guide Ezio Marlier no one comes close to you!, Jennifer Leppla and her husband Gianluca; Celia Benito Quislant and everyone @Lau Producciones; everyone @ Rangoli Restaurant – Milano especially my ‘bhai’ Mohan Chauhan; Minu and the entire Salemme family. Friends from the Chamonix Valley: Ali Beck, Patricia Veillon, Maria Manzano, Alejandra Campos@Planete Yoga and Mo’s, and Rozenn: good luck! For some good healthy food and great energy (tell them I sent you! ): Le Lapin Agile and Annapurna Indian restaurant in Chamonix. Namaste Krishna, Gianand, Kemika, Naveen and pyaari Uma! Swati, Rajuji and everyone at the shop on Kshetra Road. Eternal love and gratitude to my yoga teacher Usha Devi @ Omkarananda Patanjala Kendre: I am so lucky the universe brought you into my life. Last, but certainly, not least AC… Love and friendship forever. I have opened an NGO to help the poor people of Rishikesh, in India. If you want to help out: www.rishikeshrelief.org. It’s time to give back. This year is all about freedom….soaring high….Love and Light and Peace.